Le Grand Chalet des Pistes in Méribel provides a choice of different types of apartments, ranging from studio flats to 2 bedroom apartments. 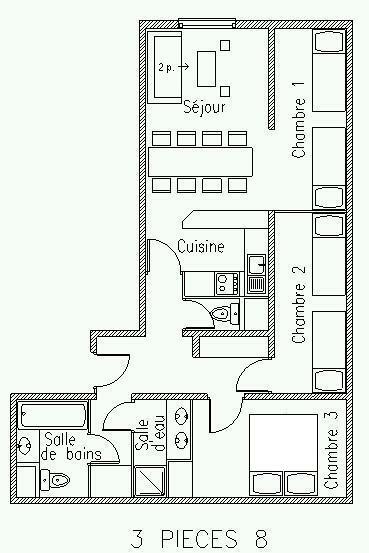 The 2-4 person studios (approximately 22m²) feature a kitchenette, shower and WC, compact living room. Bedding in living room : double sofa bed and bunk-beds (upper beds more than 6 years old) - sometimes 2 single beds. 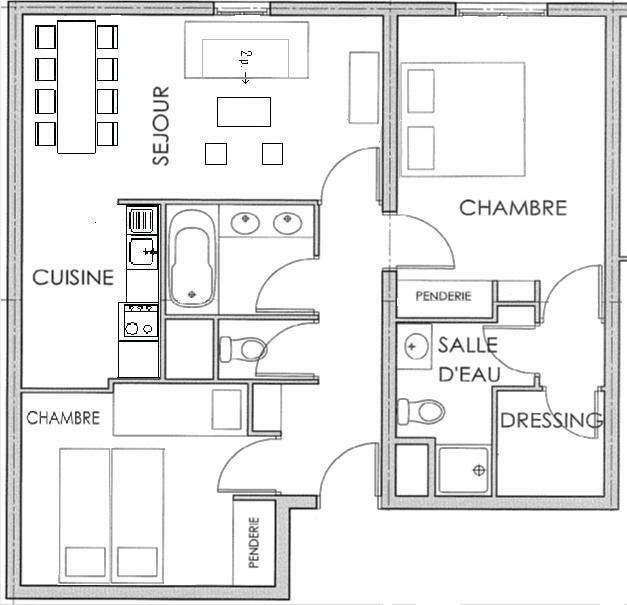 The 4-6 person one bedroom apartments (approximately 44m²) feature a kitchen, one bathroom and separate toilet or 2 shower rooms with toilet, living room and 1 bedroom. Bedding in living room : double sofa bed and one bedroom with double bed (sliding door or partition separates sleeping areas). 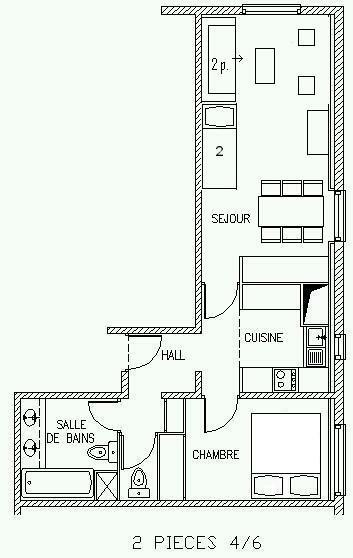 + bunk-beds (upper bed more than 6 years old) - sometimes 2 single beds or in living room or in bedroom. 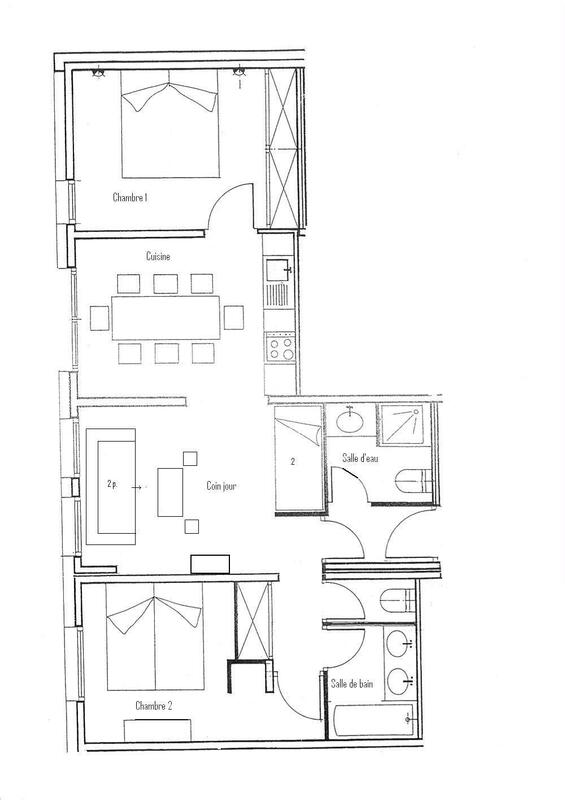 The two bedroom apartments for up to 8 (66m² approximately) feature a kitchen, 1 bathroom and separate toilet and 1 shower room with toilet, living room and 2 bedrooms. 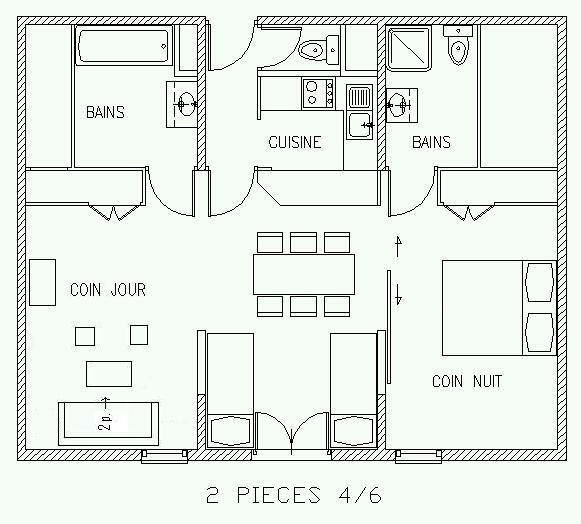 Bedding in living room with double sofa bed, 1 bedroom with double bed + 1 bedroom with 2 single beds. 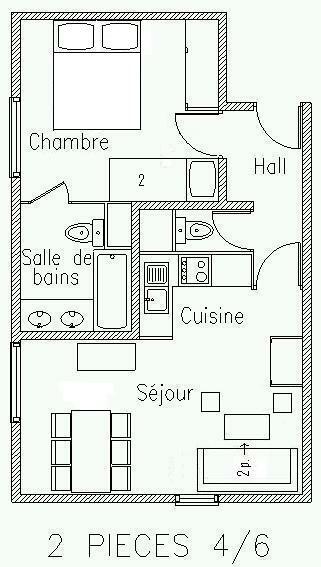 + bunk-beds (upper bed more than 6 years old) - sometimes 2 single beds or in living room or in one of the bedroom. 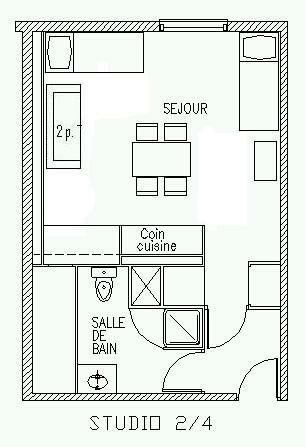 Studio 2/4 persons without balcony (about 26m²) - ground floor - Kitchenette, shower room with toilet, living room. Bedding in living room : double bed and bunks beds (upper bed more than 6 years old).